Harwell, near Oxford, is one of the UK’s premier hubs for science and technology. For many years the headquarters of the Atomic Energy Research Establishment, it’s now the home of the Science and Technology Facilities Council’s Rutherford Appleton Laboratory, the ISIS X-ray source and the Diamond synchrotron light source. It’s also now home to a new European Space Agency (ESA) research facility: the ESA UK Harwell Centre. Another reason for the UK location is that ESA is in awe of the entrepreneurial culture in UK science and technology — possibly the fruit of the increased activity of universities in spinning-out research companies over the past decade. This is not only a way to realise the commercial possibilities of space research, Ditter said, it also feeds back into the research. ’What we’re trying to do is both look for new ways to commercialise space science — that is, ways to reach the investment community — and to look for the areas and applications in the wider industrial context where there is potential for commercialisation. The process of identifying these new services and finding the new applications will invariably lead us to identify the gaps in our research coverage. The Harwell Centre’s research priorities are keyed into strengths within the UK space community. The Earth Observation/Climate Change unit will be particularly concerned with improving the integration of data obtained from Earth observation into simulated climate models, to improve the accuracy of predictions derived from the models. The UK’s ATSR (Along Track Scanning Radiometer) instruments — high-resolution infrared cameras carried aboard ESA Earth observation satellites — provide data on sea surface temperatures; the UK also has expertise in using computer graphics to visualise complex climatic data. Among the resources to be built at Harwell is a curation facility, which will initially be used to store samples from bodies that are lifeless, such as the moon, asteroids and interplanetary space. It will also house samples taken during the construction of spacecraft, to provide a record of potential contaminants from Earth. 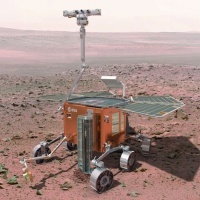 A Mars sample-return mission would require the construction of a dedicated facility, which the Harwell Centre will research and design. The centre will also research power sources for space exploration, which are vital for missions where solar power will not be available. 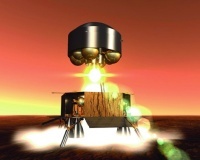 These will be based on the heat given off by radioactive elements; a technology that the US and Russia have both used in the past, but which is new to ESA. What attracted ESA to the UK in business terms? We want to improve our processes within ESA, particularly with respect to the integrated application programme, which creates new services built on space technology. There’s a business dynamic that we see as being particularly present in the UK more so than elsewhere — it’s the entrepreneurial spirit that we feel would help us rethink processes that we’ve run within ESA for the past three decades. That’s equally surprising to me. The way you set up businesses here, from my perspective as an engineer, all seems particularly dynamic. It’s connected with the proximity of the City and access to venture capital, and the willingness to invest. If there is a gap in British entrepreneurship, it appears to be more connected to the way new businesses aren’t taken up by the British economy, and end up being sold to companies in the US and elsewhere. Are there particular examples of the way you want to operate? The Star Tiger project very much represents one of the ways of working that we want to adopt at Harwell. Star Tiger was a project at the Rutherford Appleton Laboratory aimed at reducing the development time for a critical space technology programme; it developed and built a terahertz imaging camera in four months. The technology was spun-out into a company called ThruVision, and the terahertz camera based on the developments has gone on to be used in passive full-body scanning at airports. What do you think ESA can learn from this? Developments such as this are built on opportunities in the technical domain, which is a matter of having the right people in the right place. We need to look at which of these ingredients — scientists and engineers, people who spot commercial opportunities, investors — we can reproduce locally. We need to look at the ways in which we develop technology, and probably at how we work in partnerships. What do you see are the advantages of this approach? In widening the user base of space technology, you raise the profile of space research and increase the return on investment — that much is obvious. Your science minister [Lord Drayson] has put such an emphasis on space science and the role it plays in the UK economy — that’s exactly the sort of climate that we want to be a part of.